Slots tournaments are becoming an integral part of the 21st century online casino gambling. However, not many people understand how these tournaments operate. This review gives you a behind-the-scenes of what you should know about these tournaments and how to capitalize on them. Let’s get this clear right out of the gate; slots tournaments are not just meant for novice poker players. In fact, the most ardent slots enthusiasts love tournaments, and for obvious reasons. Slot machine tournaments are quickly surging in popularity even in areas that were mostly seen as poker zones. One thing that is common with these tournaments is that they come with inflated jackpot prize. Hitting just one of these jackpots could mean a permanent transformation for the winner. Slot tournament formats are as varied as the number of casinos that offer them. Every casino decides on how it wants to run its own tournament ranging from the participants to the jackpot amount as well as the entry requirements. The process primarily entails players signing up and being allocated a certain number of credits. You are then given the opportunity to run those credits into desired profits within a specified period of time. There is a separate account in which the tournament credits are compiled to prevent them from being either subtracted or added to your normal credits. As a participant, your goal is to ensure that you exhaust all the allotted credits before the specified timeframe elapses. For instance, one of the tournaments could decide to reward the punter with the most won credits with $1000 as the winning jackpot and then $500 and $300 for the second and third runners up respectively. How Much Do I Need to Pay for a Slots Tournament? This is an open ended question as it mainly depends on the type of casino and the kind of offers that they are running. 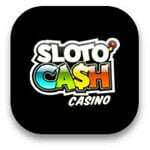 To start with, there are slot tournaments that are free to enter. In such kind of arrangements, casinos use the tournaments to attract and retain new members. You could look at it as an advantage on your side since it avails you of the opportunity to get acquaint yourself with the casino and how it works before you start wagering. The prizes in such tournaments are usually not very significant but worth a try all the same. Another possible scenario is where tournaments are comped to give regular punters a reward for their unwavering loyalty. The casinos will thus give you points with each amount of money you wager or with the number of times that you spin the reels. Overtime, the accumulated points can be used in a number of ways. The first one is by using the points to enter into a slots tournament; in which case the casino will have a certain number of comp points as the only or part of the minimum entry requirements. The third option is for the casino to offer to buy back the points with real cash say $50 for 10,000 points. 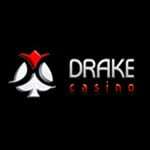 The casino can then opt to use the buy-in cash in organizing a tournament for its players. The grand prize in this tournaments depend on a host of factors key amongst them the number of punters who have entered the competition. For instance, using the buy-in approach, a casino with the most number of buy-ins will definitely have a higher jackpot amount. 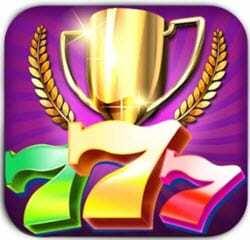 There are jackpot tournaments that involve thousands of players and as you can expect, the grand prize is usually a very significant figure. To the right way, high impact tournaments have the capacity to change your life for the better and for good. Do I Need a Slots Tournament Strategy? Yes you do! However, it is not as complicated as one would imagine especially when you hear the prize value of the jackpots that are up for grabs in such tournaments. There is only one important thing that you constantly need to keep. Speed is of utmost importance if you are to stand a chance of winning the tournament. You need to spin the reels as fast as you can manage. The trick is to take maximum advantage of the time allocated so that you get many spins. That implies that you need to master the art of pushing the buttons with minimal delays and with a steady rhythm. Most of the tournaments usually last for an average of 20 minutes which is a lot of time for you to do some constructive reeling if you can manage the time well. It is ideal that you keep away from all forms of distractions as you will need all the concentration in the world. Another tip is that you should always place bets of highest amount on the given maximum number of paylines. We have an extensive list of top online tournaments from which you can select where you want to participate. Majority of the casinos, especially the well-established ones run slots tournaments of varying nature. There are even casino networks that join up and collaborate with others so that they jointly organize mega tournaments for their customers. In such cases, the jackpot size can be quite big since each of the participating casinos contributes towards the jackpot amount.